Here’s a list of my previous blog posts. I frequently blog about the importance of reading, children’s education, dyslexia and other learning difficulties, my own experiences with dyslexia, neuroscience, children’s psychology, parenting, and many other topics related to raising readers. Check out the list below and see which topics interest you! Looking for Free Summer Activities? Here are Some Can’t-Miss Opportunities! 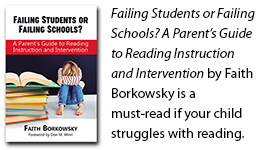 Is A Vision Performance Problem Causing Your Child’s Poor Reading Skills? The Gift of a Great Story! A 40-year-old Message to Parents from…LEGO? What Makes a Parent Successful? Sir Kaye in the Classroom! Why Doesn’t My Child Want to Read? My Child Is So Bright! Why Can’t He Read? Are There Advantages to Being Dyslexic? Stigmatization and Bullying – What’s the Connection? Firebug and Firebug Junior: Why Share Your Childhood Mistakes? Motivating Struggling Students—Does Word Choice Really Matter? Having Trouble Getting Kids to Clean Up? Try this! Is Electronic Media Taking Over Your Family? Is Your Child Slipping Through The Cracks In The Academic System? Children’s Book The Knighting of Sir Kaye Wins A 2013 IRDA! Encouragement for Children with Dyslexia. Also Time Travel. Sir Kaye Contest – There Will Be Prizes! Hooray! Hooray! We did it! Making Cardboard Box Adventures Grow – You Can Help! Writing Contest Winners…Third Place Tie! Writing Contest Winners! First and Second Place Winners! How to Counteract the Impending Paucity of Thoughtfulness! Can Reading Aloud to Children Help Curb Childhood Obesity?